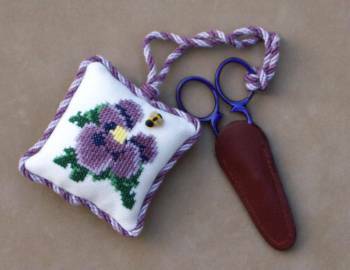 This cute pansy scissor fob is done in beautiful shades of purple. The pansy design can also be done to fit in a 3 X 3 frame available from us - click for frame. Attach purple scissors and you have a great set! Comes with a little bee button.